Provided photo Robert Jameson, right, a veteran of the Marine Corps, speaks with Trish Wackler and Tim Snider during the veterans’ recognition program at UVMC. TROY — Al Mulder, a U.S. Army veteran of the Vietnam era, thanked other veterans for their role in liberating his family and his Netherlands homeland from the horrors of World War II during the UVMC salute to veterans’ program Nov. 12. 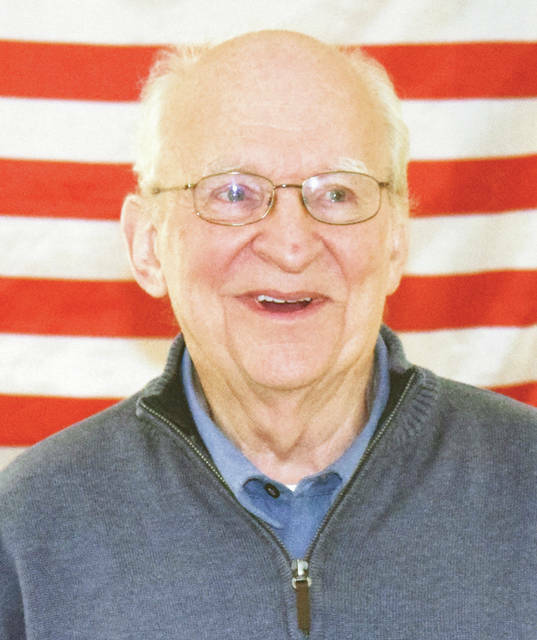 A Troy resident, Mulder shared how his parents participated in the Dutch Resistance including hiding members of a Jewish family in their home during the war before immigrating to America and taking up residence in Piqua in 1956. Mulder, who became a U.S. citizen in 1962, was among 18 veterans who received recognition for their service following the program. Veterans were recognized with certificates of appreciation and small gifts presented by Tim Snider, UVMC chief operating officer; Scott Kanagy, MD, chief medical officer; and Trish Wackler, chief nursing officer. “When I meet a veteran, he may be 20 years old or he may be 80 years old, it’s like they’ve always known each other. It’s like an instant bond,” Mulder said. After the German Army rolled into his homeland, Mulder said his father agreed to work with the Dutch Resistance and its leader, a local doctor. He worked from his barbershop and tobacco store across the street from the hotel where the Nazis took up residence. The family first accepted a young Jewish woman who had been on the run for two years into their home, saying she was a cousin, followed later by an older Jewish couple, who were her parents. Anyone caught helping a Jewish person faced having their family shot and their property burned. “At times it was scary,” Mulder, who was a young boy, recalled. Once a drunken German soldier accused his father of harboring Jews and another time the Gestapo showed up to search their property. The “family” was quickly gathered into a bedroom and a quarantine sign his mother had on hand from the doctor was posted on the door. The Germans passed up searching that room, he said. Times were tough as the family had little to eat, sharing rationed food among more than intended. The country finally was liberated by the Allies. “The thing I want to express here is always do the right thing. It may not make sense at the time,” Mulder said. “I really appreciate what the veterans have done for us in World War II in liberating us. I will never, never forget that,” he said. 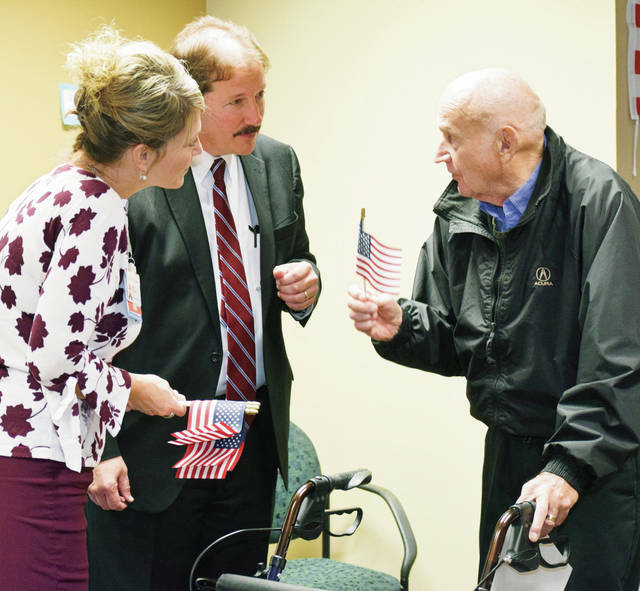 https://www.dailycall.com/wp-content/uploads/sites/30/2018/11/web1_UVMC_Veterans_Day_2018_program_cmyk.jpgProvided photo Robert Jameson, right, a veteran of the Marine Corps, speaks with Trish Wackler and Tim Snider during the veterans’ recognition program at UVMC.